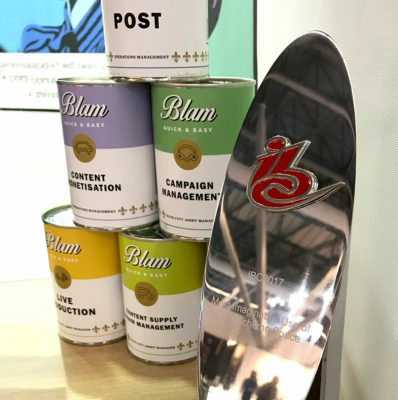 The stand won the IBC award for best shell scheme stand design at IBC 2017. This year we expanded on the pop-art theme of 2016, updating the Lichtenstein-style comic book backdrop and adding some Warhol style cans into the mix, playing on the similarity between BLAM and CAMPBELLS soup. 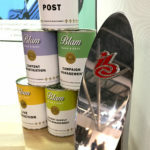 Each ‘flavour’ of the BLAM product has it’s own colour-coded can which were given to prospective clients, filled with freebies and further info.